Graff's Farm, comprising the main house, the barn, the rainwater tank footings, the milking shed, the remnants of the freestanding wall and the well, is of outstanding historical significance to the State of Victoria as part of the Westgarthtown settlement, for its association with the State's promotion of German settlement in Victoria. As part of the Westgarthtown settlement, Graff's Farm has an important association with William Westgarth, MLC, a notable pioneer of Victoria who was directly responsible for the immigrant communities in Victoria. 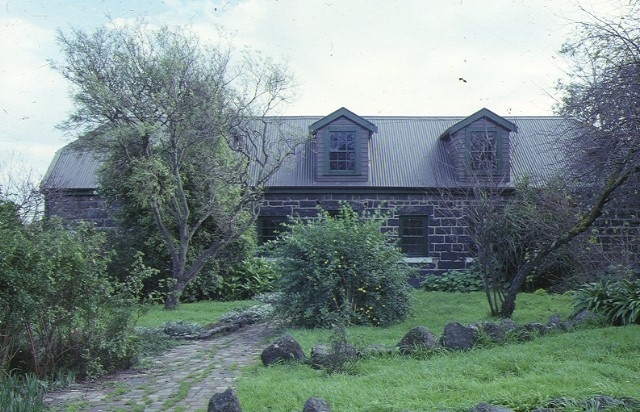 The house, constructed in 1873 for Johann Graff, is of ashlar bluestone and is a two storey building with the upper level within the steeply pitched jerkin head roof. The glass roof lights were replaced with dormer windows in the late 1940s. The barn, also constructed of ashlar bluestone with jerkin head roof form, was probably intended to provide shelter to animals and hay storage on the upper level. These two buildings are obviously derived from rural German architecture and they represent a transportation of German building techniques to Victoria. The quality of the stonework in both the house and barn reflects the craftsmanship of the early German settlers, particularly in the working of bluestone. Graff's Farm, 1 Thomas Street, Thomastown. 1. 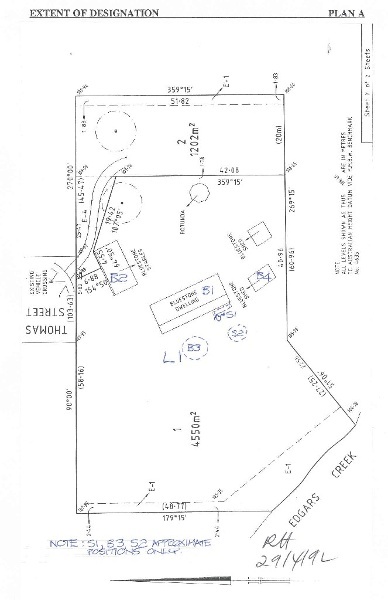 The building known as the main house (B1), the barn (B2), the rainwater tank footings (B3), the remnants of the freestanding wall (S1) and the well (S2) being the buildings known as Graff's Farm, 1 Thomas Street, Thomastown as shown on Plan 604974H endorsed by the Chairperson, Historic Buildings Council and held by the Director, Historic Buildings Council. 2. The land marked L1 on Plan No. 604974H endorsed by the Chairperson, Historic Buildings Council and held by the Director, Historic Buildings Council, being part of the land described in Certificate of Title Volume 8538 Folio 388.